How do I import my clients from Xero HQ? 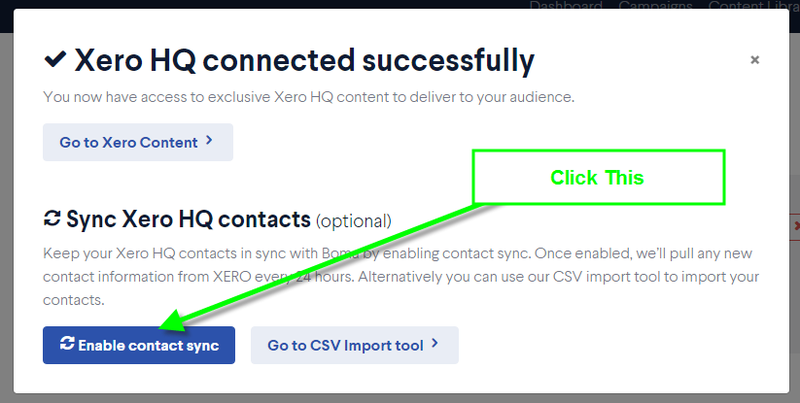 To import your Xero HQ clients you will need to connect to Xero HQ from the Boma Settings/Linked Accounts page. You'll be taken to Xero HQ to authenticate your account. On your automatic return to Boma you can now access the Xero Content library, and also choose to enable to sync your contacts in Xero HQ with Boma. All you need to do is click the Enable contact sync button. Depending on the number of contacts you have in Xero HQ this could take from a few seconds to several minutes. On successful completion of your sync go to the Contacts page to view your newly added contacts.